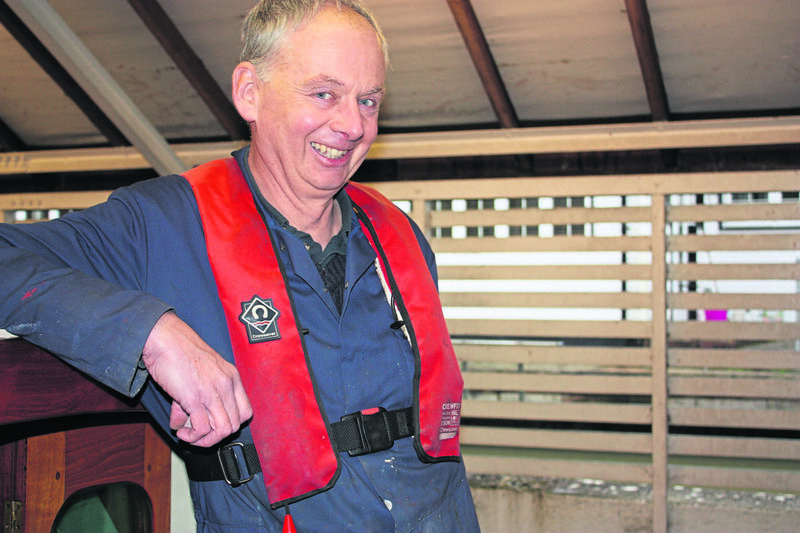 Elizabeth Rogers meets waterways officer Tony Forster, who lives and breathes boats for work, rest and play. “I AM certainly a river person, I am a river man,” says Tony Forster. Both his working life and his leisure time keep him deeply involved with boats. As a waterways officer of the Environment Agency his daily life involves being out and about on a patrol boat, enjoying undertaking a role that had become an ambition early in his working life. Tony has indeed a thorough knowledge of all types of water-going craft, for his first job on leaving school at the age of 16 was with a boat building company. 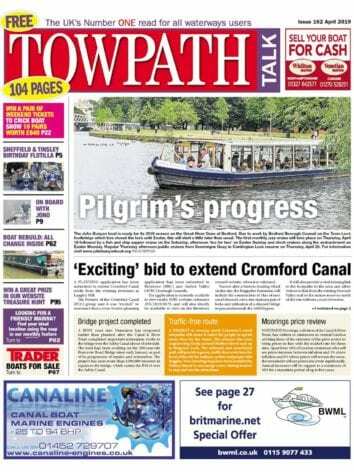 He was offered an apprenticeship at Andrews Boathouse in Bourne End. It was Andrews who developed the original design of the slipper launch, an innovative idea, back in 1912. These wooden launches were made from mahogany, and had a sloping back. Changes over the years resulted in the design becoming longer and longer and Tony remembers them being in sizes of 25-30ft – and even as long as 50ft. At the boatyard, Tony was working on these and many other designs. “As an apprentice I was doing painting, varnishing and all the kinds of work that a 16-year-old in his first job does,” he recalled. As an interim form of employment Tony set himself up as a freelance boat builder, and also spent some time in France, with a friend. 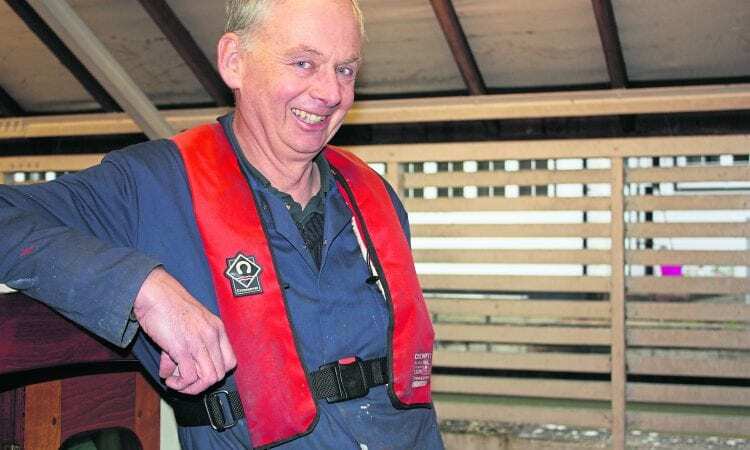 Tony’s ambition became realised when he was successful in his application for a vacancy with the Environment Agency and on April 1, 1985, he began working as a boatman. He was based at Boulters Lock, near Maidenhead, which is still one of his bases. The team of two went out on a patrol boat, where there were many different forms of observation to be carried out. “We kept an eye on all sorts of things,” said Tony. “We were concerned with registration enforcement, ensuring that every boat – even a canoe has to be registered – was complying with regulations. We also kept watch for speeding boats, any exceeding the speed limits. Tony has now been with the Environment Agency for 32 years and he enjoys his work as much as ever. “Every day is different,” he said. Now his title is waterways officer, overseeing the whole fleet of the agency’s launches on the River Thames. The fleet numbers 13, and there are also two craft known as workboats which are used by staff carrying out tasks such as laying marker buoys, and going out to deal with maintenance work such as tree cutting. “Being smaller, they can be taken out to backwaters and small streams, and they can be used by our staff going out to these and other tasks at one of our sites,” Tony explained. His career has included many highlights, but those particularly memorable include the royal occasions and historic events. “I have done two or three trips with the Queen on board,” he is proud to say. These were with the agency’s biggest inspection launch, the Windrush, and one of the occasions was to take the Queen to Henley when she was travelling to open the River and Rowing Museum in 1998. When the Queen makes a journey afloat she is accompanied by her ceremonial escorts, the Queen’s Watermen, dressed in their red ceremonial uniforms. The Windrush is 46ft long and can carry 10 passengers along with two crew. It is in regular use for taking official visitors out on the river and it has facilities for serving refreshments to guests. Another occasion that Tony enjoys looking back on is the historic pageant that took place along the River Thames as part of the celebrations of the Queen’s Diamond Jubilee in 2012. Three of the Environment Agency’s patrol launches took part in the parade, with Tony aboard the leading launch. Boats play just as important a part for Tony in his leisure time as they do in his working life, for he is a classic speedboat enthusiast. One aspect of this is his restoration projects, working on boats from the 1950s and 1960s. He has four in his workshop at present. The other aspect is going out on the water in these craft with his fellow members of the Classic Motor Boats Association of Great Britain, of which he is the Thames Valley area representative. It holds 12 to 15 events each year, but as he may be on duty at weekends Tony is not able to take part in all of these. The most local venue for him is on a lake at Chertsey, close to the M3. “We rent it out for the day and about 20 boats go along there, we can use it as we like for the whole day,” Tony explains. Other venues are Lake Windermere, although speed limits are now in place there, and Loch Lomond, where there are still no restrictions. “There are also other places to which we get invited, where we can run all these lovely speedboats together,” he adds. “Boats are certainly in my blood,” he said. “I live and breathe them”. Tony’s wife Chris encourages his enthusiasm, and his classic boats have become a family interest, shared with Chris and their twin daughters. His family background was not especially related to boats, although his grandparents worked in the shipbuilding industry in Sunderland. “I sort of drifted into boat building with my first job, and it is something I have never regretted,” he said. On a working day there may be planned programmes such as inspecting a landing stage, but there is also always the unexpected, such as a dead sheep floating in the water, spotted as the patrol boat rounds a corner, or a serious incident such as a boat on fire. Faced with such, Tony has fire-fighting equipment on board the patrol boat.